It’s a little cliche and, at times, a bit hard to buy into, yet I still firmly believe that we (you, me and everyone else) can create whatever kind of life we want to have. And obviously that includes your business. Although we all have different starting points in life, we all live in the same universe; meaning we all have the same resource available to us. Yes, some of us have it closer at hand and perhaps a little easier to come by, but that doesn’t mean the resources available are different for each of us; it’s just how we reach and what we DO with those resources that counts. But this is not a competition. It’s simply a matter of knowing what is it that YOU want. It’s that ‘what’ which carries you through every day you draw breath on this planet, sustains you when you’re low, and bolsters you when things are awesome. 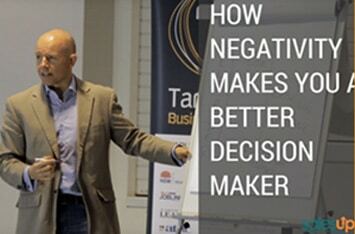 In the video here, I walk you through four key things you need to know and use in order to create the life and business you want. This is not an exercise in dreaming or wishful thinking. This is a solid philosophy backed by hard science. So what are you waiting for? Get in there and watch it! P.S. If you know what you want your life to look like, but are having a hard time getting to the goods, check out our free 90-Day Planning Tool which can help you narrow down and hit those short-term goals – after all, as we know – “The journey of a thousand miles begins with a single step”. P.P.S. If you’d like to learn a little more about SalesUp! Business Coaching and the work that we do, please watch this short video testimonial. We’re super stoked to work with some really awesome business owners and have been humbled and gifted beyond measure to help these fine folks create the life THEY want, and we’d love to hear from you too! It’s important to know what your goal is and how you’re going to execute it, but sometimes one of the missing ingredients is having the emotional leverage or clarity around why you’re going for something and the drive to see it through. This clarity of emotion is a business strength your don’t want to ignore. In the pursuit of any goal, there’s ups and downs, but it’s when things are challenging and going against you, that you need those emotional reserves. 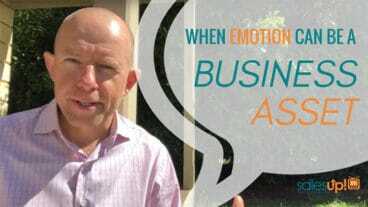 In this video I’m not going to walk you through the actual planning process—there’s a cracker of a guide HERE that teaches you how to do that—but rather, we’re going to go through some east steps to tap into those emotional reserves when you need them. Write your goal in the middle column. The only guideline here is to make sure you are picking S.M.A.R.T. goals. That is, goals that are Specific, Measurable, Achievable, Results-oriented with a Timeframe. SMART goals are critical in the planning process, particularly so you can gain a better picture of what success for that goal looks like in reality. In the left-hand column, write the all the “WHY” reasons which relate to the goal. Behind every goal is a feeling, an emotion – and the emotional result that you want to achieve through that goal. Don’t skip this step or shake this task as a feel-good, fluff piece which doesn’t have any basis—nothing could be further from the truth. What you want to distill here are all the emotional reasons you want to achieve the goal. For example – if the goal is financial and you want to pay down your mortgage faster, list the emotional benefits you will gain by doing so (more disposable income to travel, more time with family, helping your children financially—whatever it is that fuels your fire). It is the feelings you will get from achieving that goal that will sustain you in the low times. From there, we advocate that you develop a structure to execute the plan and to help solidify your tasks and timelines. To do this, feel free to access our free 90-Day Planning guide which has all the tools and resources to help you develop and track your plan. That’s it! The absolute importance of planning with purpose and emotion can’t be understated. The clearer you get on your goals, the more emotional leverage you have behind you to help you achieve those goals you’ve been dreaming of. P.S. You can access the jam-packed Planning Edition of our Business Nutrition Newsletter HERE. And for more free training Videos, subscribe to our Youtube Channel. Do you have a current profit model? Have you ever wondered about which changes in your business will make the biggest impact on your bottom line? Is so, you’re not alone – and this is the right place to be to find out the answer. 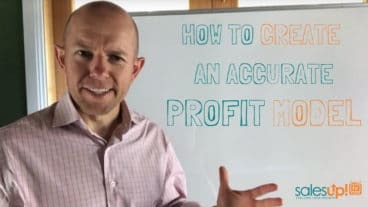 This video tells you, with real-world examples, how to determine the level of profit you’ll be able to realize through different changes to sales and growth patterns. If you’re interested in some related training, see our video “How to Create a Profit First Budget” for a step-by-step guide that goes into a bit more detail. Look, I get numbers are not the most exciting part about business ownership, but they are one of the most important. To see what I mean, have a look at Vol. 28 of our Business Nutrition Newsletter which exclusively deals with putting yourself in a strong financial situation, so you can sleep at night. If money is where you’re really struggling as a business owner, read this and then do this. Now go out there and get amongst it! 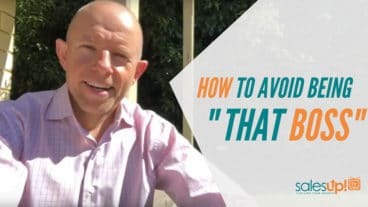 How to Avoid Being "That Boss"
Whether you call yourself a Boss, Leader, or Owner, there’s a very fine line between setting the pace and driving the pace. Knowing the difference is critical to the health of your team. It’s easy to fall into the trap of “Boss think” on this one, and it can be detrimental to the health and productivity of your team. Here’s how to effectively set the pace as a leader, no matter what stage your business is at. What we’re talking about here is your effect on the team in terms of your behaviour around implementation and execution. 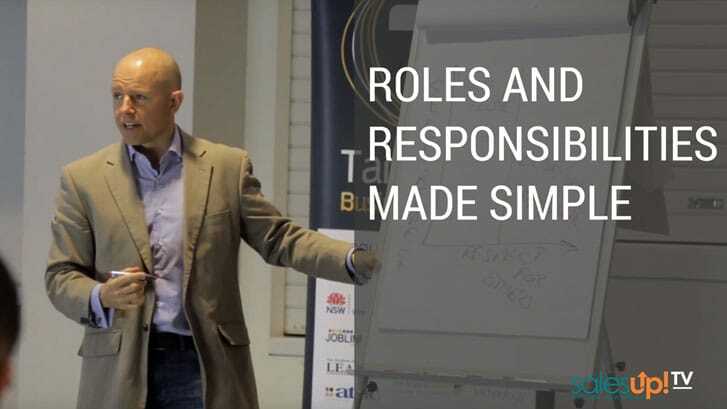 It can be easy to fall into the trap of thinking that you aren’t held to account in the same way that your people are, but to echo a sometimes-overused phrase, you really do need to lead by example to get the results you want. You can’t create separate standards for yourself and your team, because the difference will be stark, and the result will be the creation of an “us vs. them” culture which does nothing to promote, ingenuity, motivation or retention—all cornerstones of a successful business. If you’re looking to be a team and work as a team, then you need to actively participate as one of the team, regardless of how you view yourself in the culture of the business. What are your biggest challenge jumping into the trenches? Let us know in the comments below. And if you watch this and think: “If there’s no ‘I’ in team, why am I doing all the work?” This read is for you. Get out there and have fun with it, and if you’ve hit a stumbling block, we can help. Reach out and let us know what you need. How Strong is Your Network? 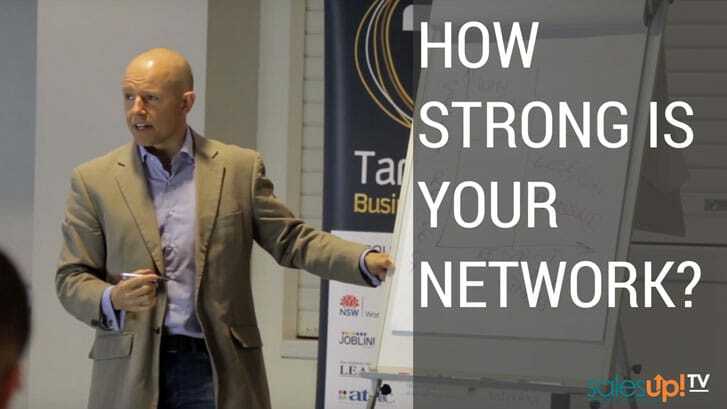 It’s been said that your net worth is a reflection of your network, and when it comes to the sales and marketing of your business, a good network is an extremely valuable tool. However, it’s important to note that a network is not just the sum of the people you know. It takes strategy and intention to create a network that will help grow your business. Watch to discover what makes a healthy network, and how to make it happen for your business.